You can trust Adamsons Vehicle Care Centre to get you back on the road quickly, safely and confidently. 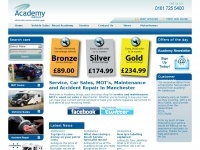 ScullionSoftware is specified as the websites creator. 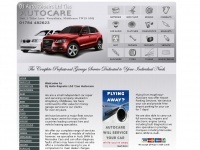 Autocarebodyworks.co.uk - Car Body Re­pair Shop(Lon­don, Sur­rey & Mitcham, UK), ..
Autocare.org.uk - DJ Auto Re­pairs Ltd | Gara­ge Ser­vi­ces | Heathrow ..
Academy-group.org.uk - Aca­demy Group | Ve­hicle Ser­vi­ce, MOT, Car sa­les , ..